I have had an amazing week. My mother’s family stepped in to give me a much-needed break from the frustrations of trying to locate a birth family in my dad’s line. 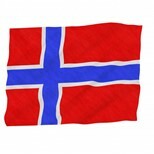 Mom was half Norwegian and half Finn, and recently I have had contact with people from both heritages. Several days ago, I received an amazing e-mail message from a man in Finland who specializes in finding missing relatives. 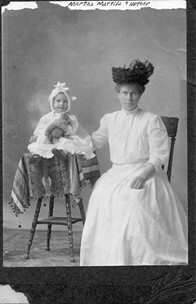 He learned that his client’s great-grandmother, Hendrika Lampinen Andelin, and my great-grandmother, Ada Lampinen Mattila (1879-1948), were sisters. He put me in touch with his client, and he told me that I have a lot of relatives in Finland. I had always suspected as much, but I had no easy way to find them. My family did not keep any contact information after my great-grandmother died in 1948. My own grandmother stated that she knew nothing about her mother’s family because they all stayed in Finland. A few years ago, I did some genealogical research on the Lampinen family. I learned that Ada had 10 other siblings besides Hendrika. The new correspondence from Finland now tells me the Hendrika alone had 15 children. I cannot imagine how many Lampinen descendants there are. When I did my Lampinen research, I focused on working backwards from Ada. This gave me her lineage but did not tell me anything about siblings and their descendants. Doing this aspect of research presents many challenges because of modern-day privacy laws. Now I have an open door for learning about my extended family in Finland. My new cousin has many family photos dating from my great-grandmother’s day. She also has photos my family sent to her great-grandmother up until the 1940’s. She has sent me several from her collection, and I can really see my grandmother’s resemblance to her Lampinen family. I hope my cousin can reassemble the modern-day Lampinen descendants. The family stretches not only from Finland to America. A couple of Ada and Hendrika’s other sisters married Russian soldiers after WWI and emigrated to Russia. My cousin hopes to locate their descendants, too. This week my husband/tech advisor and I had the opportunity to have dinner with a group of travelers from Norway. These 40 or so Norwegians came across the sea to tour the American Southwest. Upon their arrival, they stopped in Denver for a couple of days. The Trollheim Lodge of Sons of Norway hosted a supper for them and invited locals of Norwegian descent to participate. We greeted the tour bus with waving Norwegian flags. Once inside the Lodge building, we all enjoyed a Western meal of pulled pork sandwiches, potato salad, cole slaw, and baked beans. Of course, the Trollheim folks added some Norwegian touches like pickles (beets and cucumbers), desserts, and coffee, lots and lots of coffee. Few of the Americans speak much Norwegian, but many Norwegians speak fluent English. This allowed for international conversations all along the banquet tables. We learned about the tourists’ travel plans and something about their homeland. I also had an opportunity to ask a few questions in anticipation of our own planned visit to Norway next spring. The Norwegian group did not come from any of the areas on our itinerary, but some of them had visited places like Bergen and Lake Mjösa. They pointed us to must-see sites. I enjoyed my pivot from research on my American brick-wall ancestors. Although my mom’s family has resided in the U.S. for over 100 years now, I still feel comfortable with Nordic culture. A week spent interacting with the Finns and the Norwegians was time well-spent.